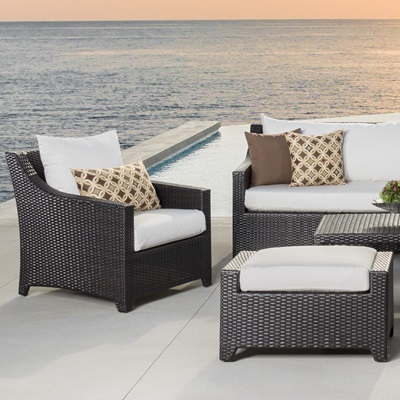 Contemporary style, superior comfort and all-weather durability together in a complete outdoor furniture set. 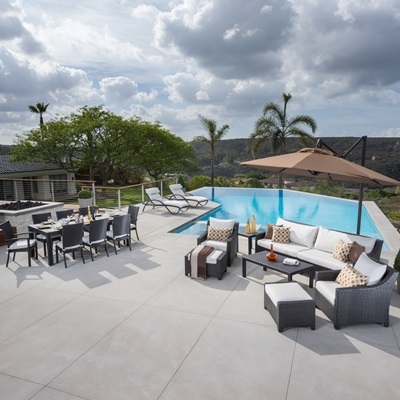 Turn your backyard into the perfect outdoor getaway. 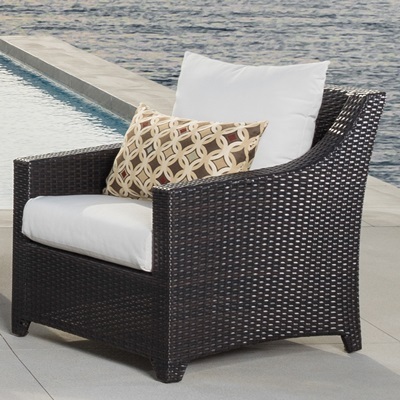 Constructed with extra plush 3 layer deep seating and a sturdy powder-coated aluminum frame, this set might be the last patio furniture you ever need. Set includes a loveseat, two club chairs, four coordinated accent pillows, an ottoman, and a woven accent coffee table. A perfect addition to any RST Brands Deco Collection seating set. For additional information, pleaseÂ contact us.